How is that possible for free? We compare thousands of flights of several of out flight ticket partners. When a flight is booked, we'll receive a fee. With part of that fee we can partially or completely offset the CO2 emissions of your flight. We do that by supporting a solar panel project in India that displaces fossil fuels. FlyGRN was founded in August 2018 by Jelle Bekirovic. The idea of a green(er) flight search engine started somewhere around March 2017. 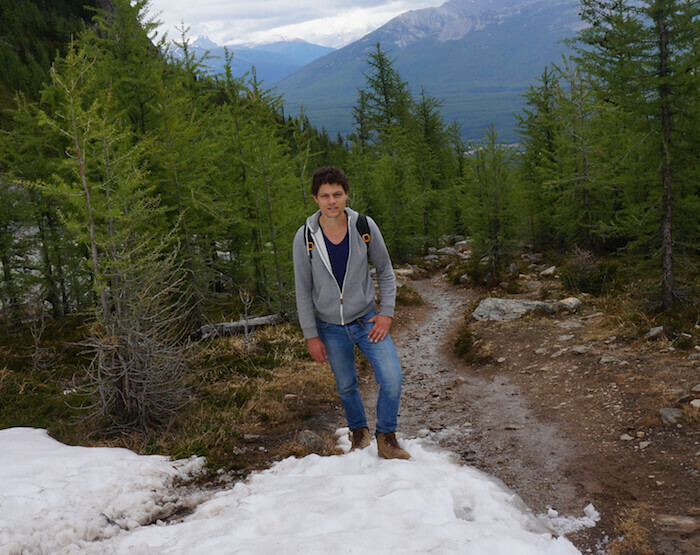 Being travel and nature-lovers himself, Jelle started realizing the enormous negative impact most travel has on the environment. While he started with carbon offsetting his own flights, he got frustrated about the little amount of details that were available about offsetting flights. Most carbon offsetting organizations give little details about the details of their projects. Some even give you just an invoice, not even a certificate or some source of information that states where your money is going to. Unfortunately, currently, only a small amount of people offset their flight. When everybody would offset their flight, that wouldn’t directly reduce flight emissions. But at least another sector would have CO2-reductions. For example, when offsetting your flight, you’re helping reforestation projects or coal stove cooker replacement projects (that are replaced for solar cookers). While being an affiliate marketeer, Jelle knew that there were marketing programs where advertisers are willing to give a commission per sold product / service. That also applies for travel. That’s how FlyGRN got started. We use a part of our commission for the emission of your flight. So, if you’re searching flights via us and book via one of our partners, we’ll pay a part of your flight’s emissions. In some cases we’ll pay 100% of your flight’s greenhouse gas emissions. Also, when you book a hotel via FlyGRN Hotels, we’ll plant a tree for every €100 spent. And when you rent a car via FlyGRN Rental Cars, we’ll also plant a tree for every €100 spent. And finally, if you didn’t book a flight via one of our partners, you can also offset your flight via us. We try to give you as much details as possible on the project where we bought carbon certificates. That’s how we reach our mission to Accelerate Emission Reductions in Travel.